This tote bag is an NPDD favorite for its durable functionality. A box bottom offers versatility which means you can fit books, groceries, grooming supplies, and as many boxes of your dog’s favorite dog biscuits as you can humanly fit. If you get the dog to help, you can probably make room for a few bones, too! 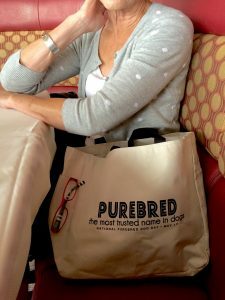 I have loads of tote bags but this is my go to tote because it’s super heavy duty, and roomy, and I believe in spreading the message about Purebred Dogs! 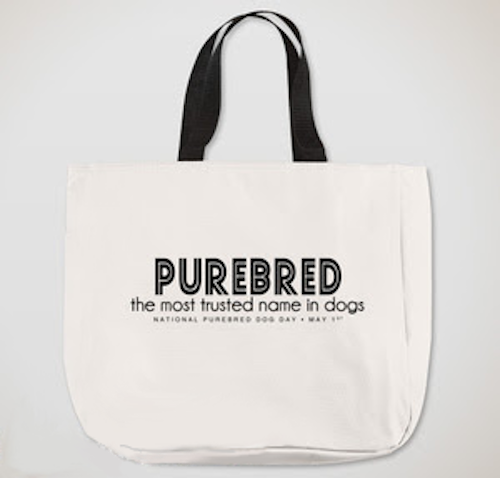 If you love Purebred Dogs then you need this bag! 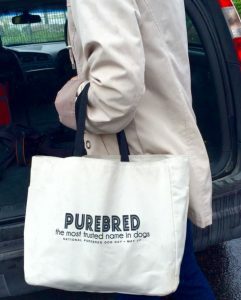 Alice, we hope it’s ok if we use your photo to promote this bag. 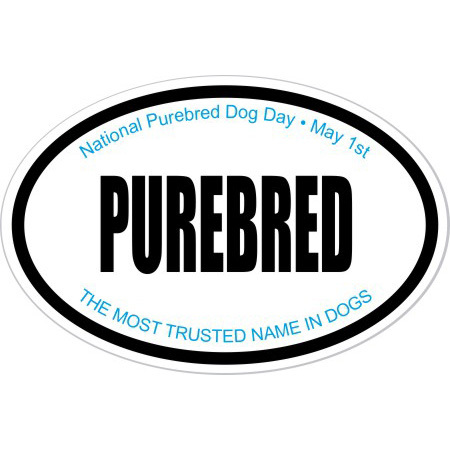 Once people find out that the puppy isn’t included, however, we may lose a few customers (grin)…. I have this bag and love it! It is light and tough and goes to every show with me. I’ve found it is just the right size for many things, and the only one tough enough to stand up to the weight of my cool beds which I always take with me. I have many bags and this one is by far the most durable. This is a great bag. Sturdy, well made and I really like the shorter handles. I bought 2, one for myself and the other will make a wonderful raffle item for my club. 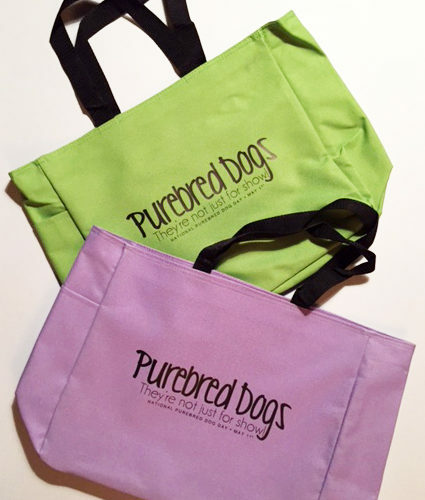 They just started offering the same tote in other colors, Tena – what color would you like to see? Absolutely LOVE my tote bag. It is extremely well made and very roomy. 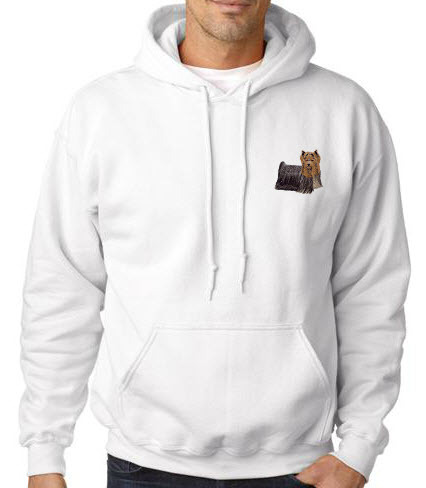 I proudly take it everywhere I go and am pleased that so many people comment on it! Can I get a purple one? 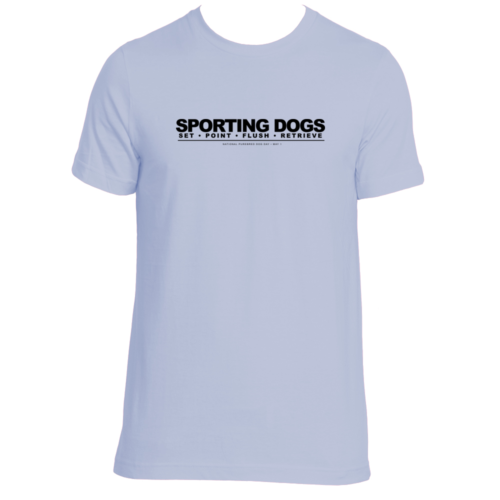 They’re not available in purple yet, but now that we know someone wants it in that color, we’ll keep it in mind as we scout for good deals! Thanks for the suggestion. This is NOT your grandmother’s cotton twill envelope tote bag! I have a bunch of those and didn’t need another one. I’ll admit I was skeptical. 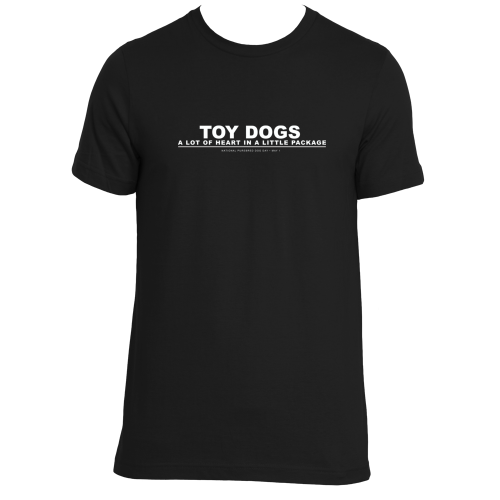 But this is waterproof, tough (yet smooth), sturdy, new-generation fabric, in a box style with a bottom and four sides. It will actually stand up on its own, so I can easily find what I need inside. I don’t like this tote – I LOVE it. This is my new go-to bag for everyday errands and weekends away. 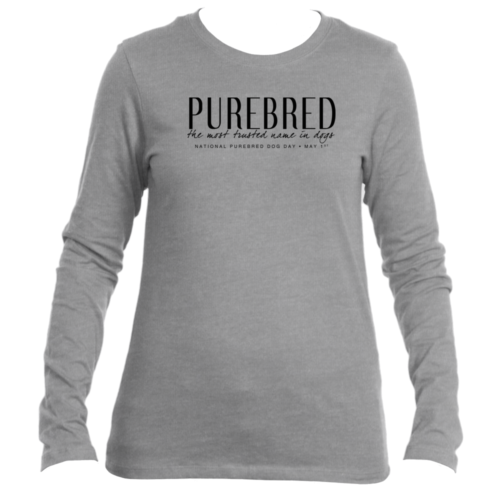 And the NPDD design on the side is a sharp looking conversation starter. Even if you don’t need another tote, buy this one; it will become your favorite. Sally, we love getting feedback about the items in our shop (especially when it’s positive!) Thank you for such a comprehensive review!